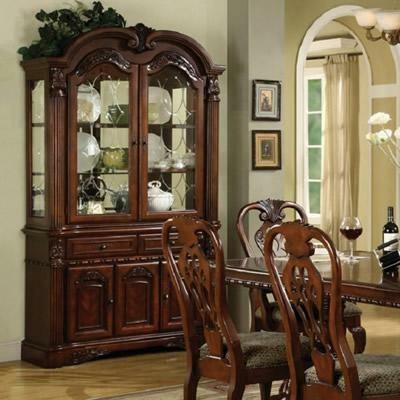 Create an elegant dining space with the Brussels china cabinet by Crown Mark. 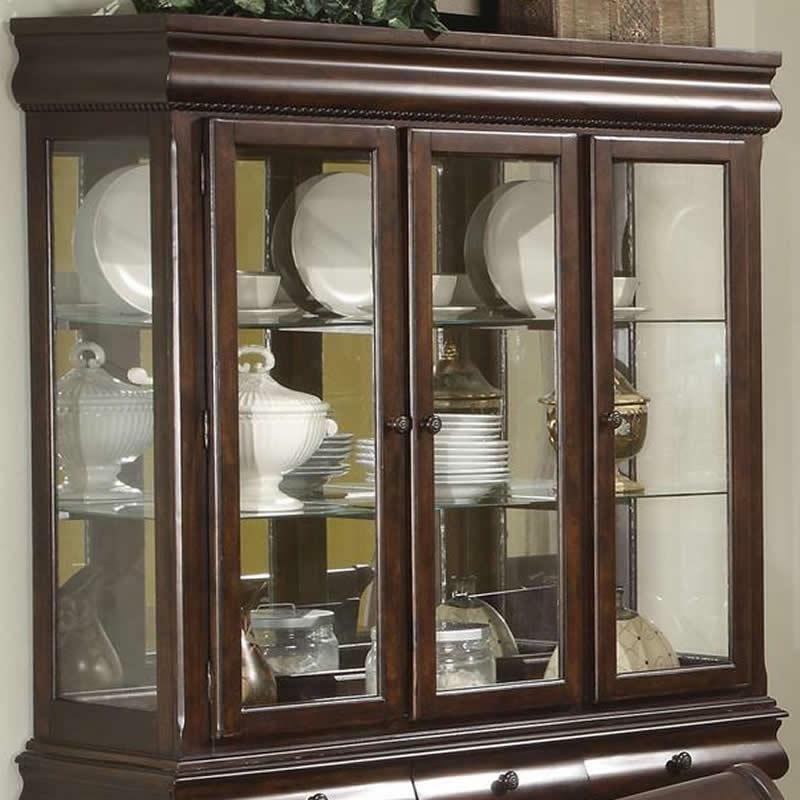 This cabinet features two glass shelves to showcase your china and three cabinets are available for extra storage. 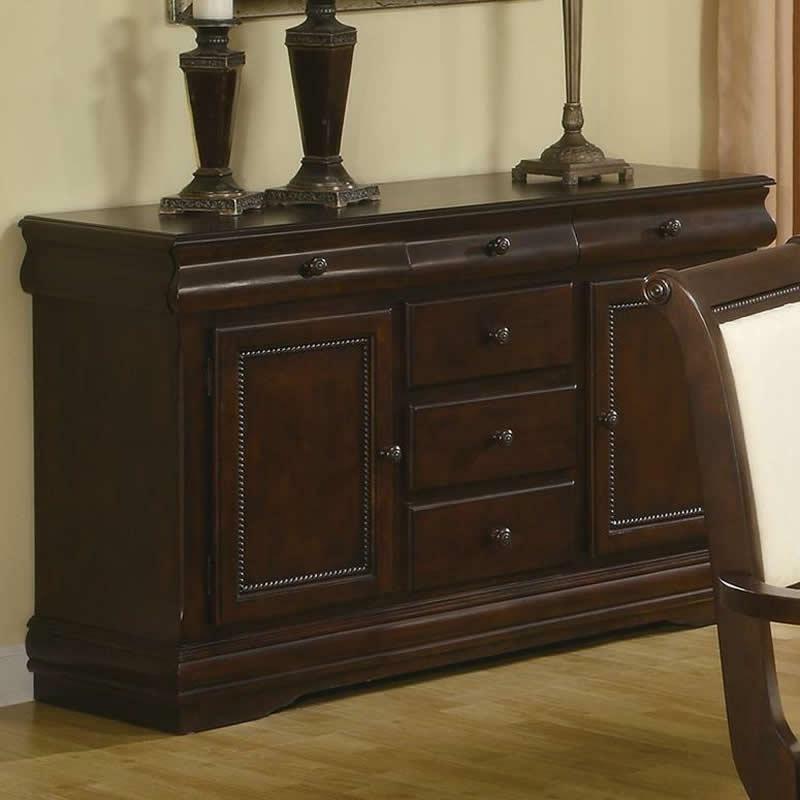 The Neo Renaissance Sideboard by Crown Mark features a brown finish, 2 doors and 3 drawers with elegant metal hand pulls. 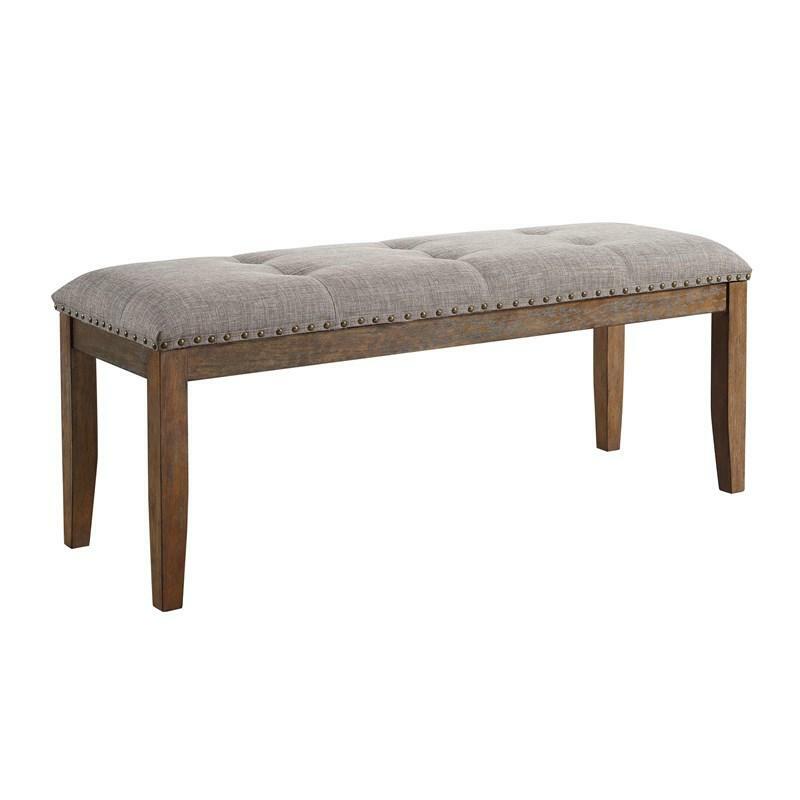 The bottom shelf offers extra space for storage. 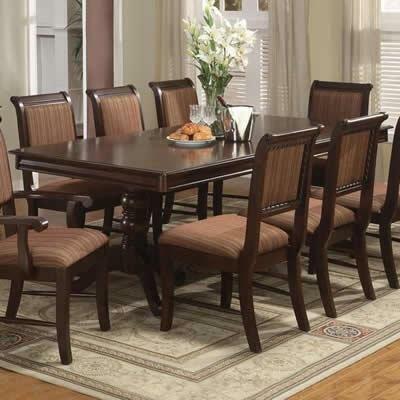 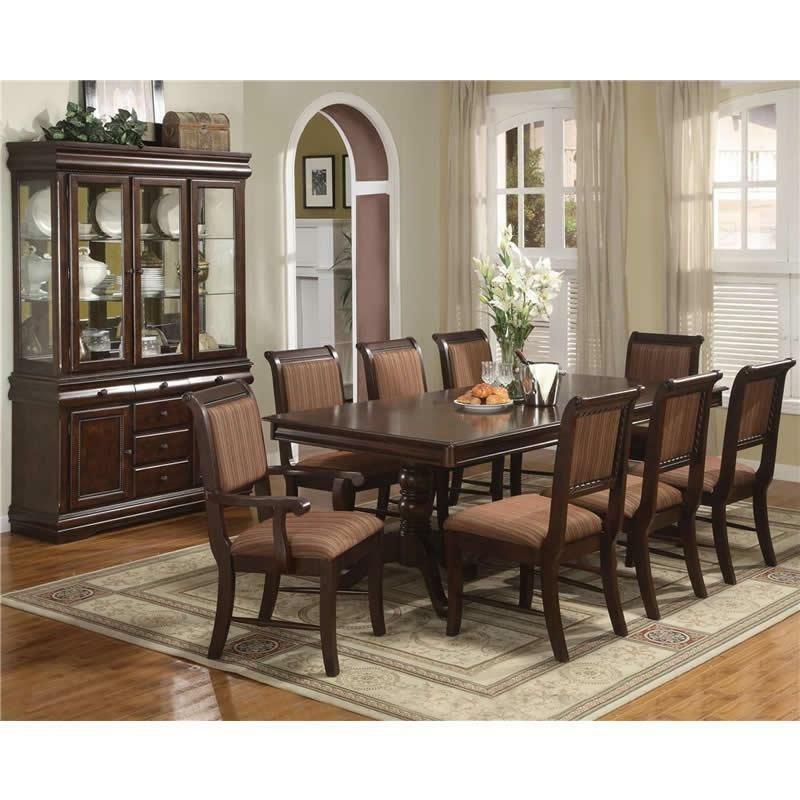 It is an elegant piece for any dining room. 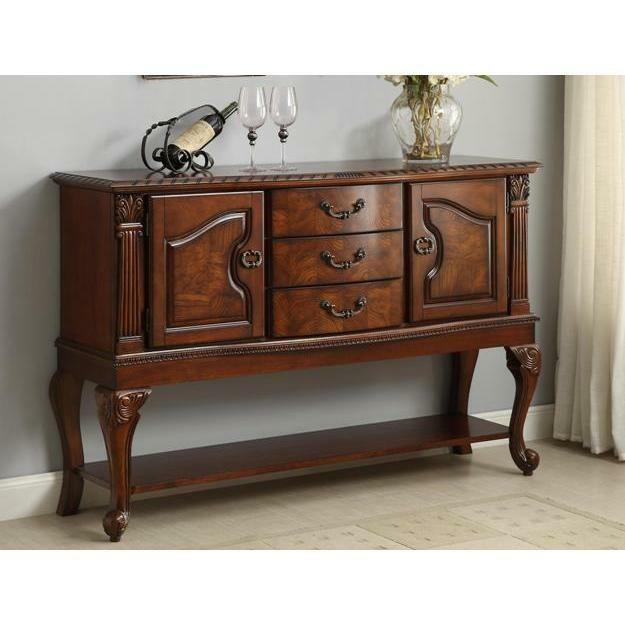 This Merlot buffet by Crown Mark features two doors and six drawers providing ample and flexible storage options for everything you will need for those special occasions. 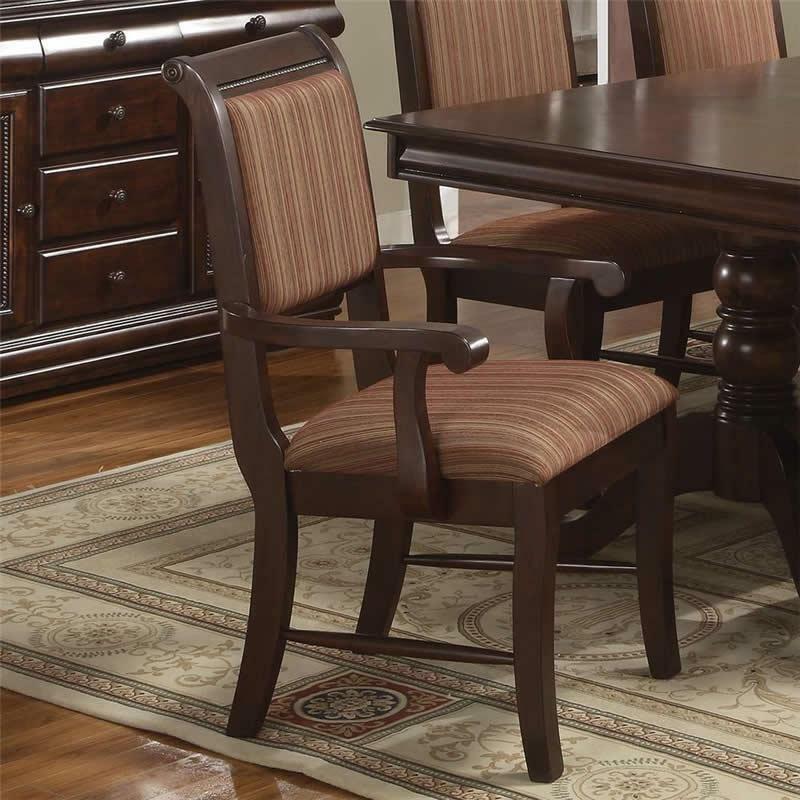 This Merlot series arm chair from Crown Mark is both simple yet elegant with its upholstered back and seat in a dark rich merlot finish. 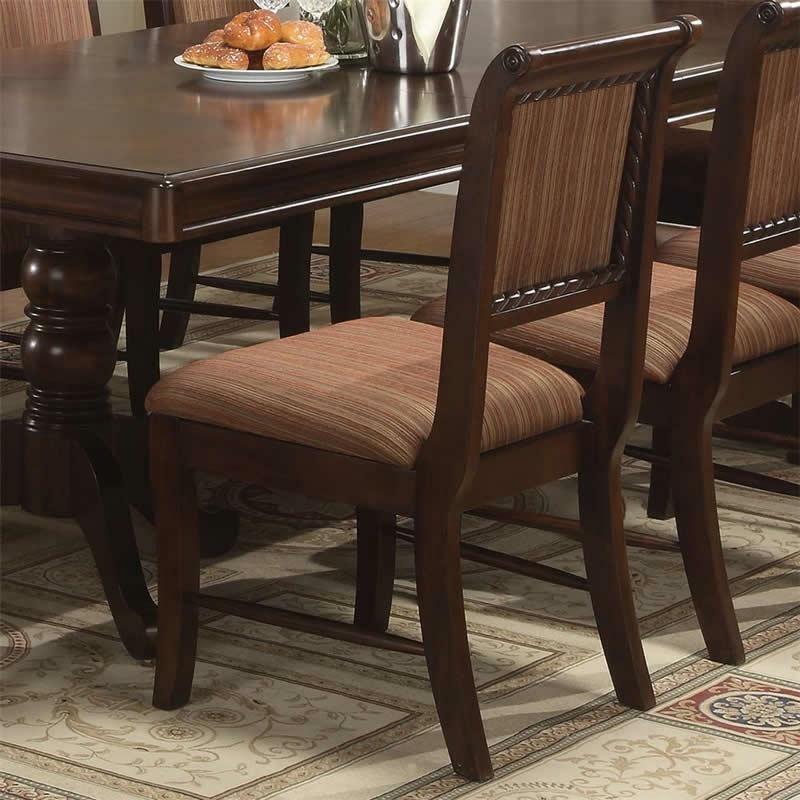 This Merlot series side chair from Crown Mark is both simple yet elegant with its upholstered back and seat and dark rich merlot finish.